Drones are everywhere, and now – in North Dakota, at least – they’re armed. 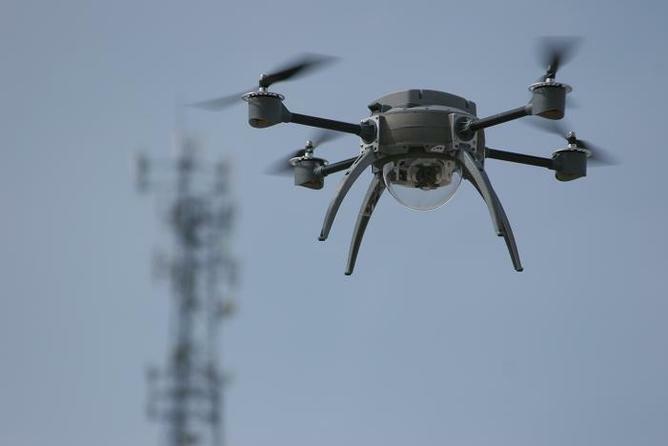 The state government recently passed an ordinance allowing the police to use drones equipped with non-lethal weapons such as tasers, tear gas or rubber bullets. While this raises serious civil liberties issues, there are positive and negative aspects to this development. For example, the ability to deploy non-lethal force from the air may lead to fewer casualties. The spate of deaths caused on the ground by police shootings is marked: 779 people have been killed by the police across the US this year. One of those deaths occurred in North Dakota, compared with 48 in Florida and 129 in California. The use of drones may lead to the police making better decisions, allowing operators to carry out reconnaissance, use non-lethal force, or no force at all. Although there has been considerable coverage of the rising use of military drones whose pilots are able to attack targets from a great distance, their rules of engagement have been narrowed. As Chris Woods shows in his measured analysis, Sudden Justice, unnecessary drone deaths can be controlled with proper rules of engagement and targeted attacks by drones may be preferable to wide-area bombardment or bombing. If the drone operators themselves are properly monitored they will not be able to engage in the suspicious shootings that have caused such uproar in the US and led to the Black Lives Matter campaign. With proper rules of engagement, drone pilots should not be able to shoot individuals in the back, plant weapons or concoct false testimony to cover up their homicidal activities. If – and this is an important if – tightly-written rules of engagement and the need for warrants are combined with non-lethal force, this could conceivably reduce the disastrous death toll from police shootings in the US. It’s a vast array. It could be a taser, sound cannons, pepper spray, beanbags, rubber bullets. You know, just about anything you can think of can be attached to a drone. Drones vary in size from a small bird up to the sort of 12-foot drones that can have a couple of cannons attached. Some of the non-lethal devices that might be deployed, such as rubber bullets and tasers, have led to deaths in the past, and may in other cases cause permanent damage, such as tasers and the LRAD sound cannon, whose blasts of noise at more than 100 decibels can cause pain, confusion, nausea, and permanent loss of hearing. Using police drones is worrying for other reasons. Drones hovering above public protests, marches and gatherings recording demonstrators will further chill the right to protest – a right that is already deep in the chiller cabinet in Britain. There is also the matter of who authorises the use of non-lethal force to disperse demonstrations: if they are not used proportionately, sound cannons, pepper spray, baton rounds of various types and other weaponry may encourage police to control demonstrations or establish curfews with little risk to themselves. This will then further dissuade people from protesting. It’s obvious that drones are not a bad thing per se; they can assist in air-sea rescue, in locating survivors after disasters and in verifying arms control or environmental agreements. But they can also kill, spy on people and discourage people from exercising their democratic rights. But drones are here and coming in increasing numbers whether we like it or not, so the best way forward for civil society is to demand clear rules of engagement and proper accountability to avoid harm. Or perhaps the next stage might be for protest groups to crowdsource funding in order to purchase their own drones, so that state authorities might be more wary of deploying their own. The “right to bear drones” might be the next stage for civilian groups in the US – a sousveillance society, with our drone watching them while their drone watches us.